Minecraft version 1.12.2, 1.12 came with awesome new features but caused most 1.10, 1.9 and 1.8 Texture Packs/Resource Packs to become incompatible. However, we still recommend updating the game to 1.12.2. 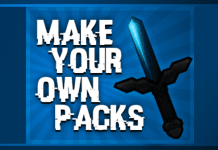 Below we'll provide you a full guide on how to make your old 1.10.2/1.10, 1.9 Texture Packs 1.12 compatible! different mcmeta file, new models, ... Do you want to make your 1.7/1.8 Resource Pack 1.9 compatible? Then you should have a look at our Convert 1.8 Resource Pack to 1.9 Thread. we will show you how to update an old Pack to 1.9. 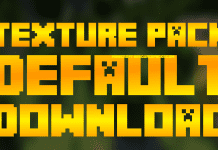 1.12 Texture Packs can be found here: Minecraft 1.12.2/1.12 Resource Packs. 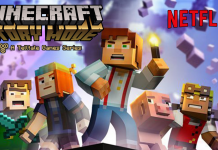 This guide also works for Minecraft 1.11.2/1.11. Step 1: Open your resource pack / texture pack with WinRar or 7zip to get access to its internal files. For all versions before 1.9 the "pack_format" number needs to be "1". For Minecraft 1.9 and 1.10 you should use number "2" to make your pack compatible. 1.11/1.12 Texture Packs need number "3" to be there. 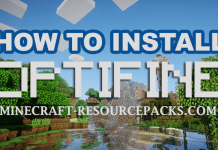 If you want to make your pack 1.9 compatible you should check out this guide: Convert a 1.8 resource pack to 1.9. Step 4: Run Minecraft 1.12.2/1.12 and look for the Texture Pack / Resource Pack. If it doesn't show "incompatible" you can check if the pack is really fully 1.12.2/1.12 compatible! That's how to use Minecraft 1.7/1.8 Resource Packs on version 1.12.2/1.12. Hey! I just wish to give a huge thumbs up for the good data you will have here on this post. I might be coming back to your blog for more soon. Thank You. Please do. Come back for more. More updates are coming. Hi. Please do come back. More new packs and updates are coming. See you around. Great, really helpful. 5/5 STARS!! !